Hair management has never been easier. This holder keeps your hair clips right there handy to pick up AND eliminates the maddening dropping and scattering. The size of a domino, these chunky magnets will not let you down. They are so powerful that they stay connected through your hand. Simple but colorful, they put "cutesy" magnets to shame when comparing performance. 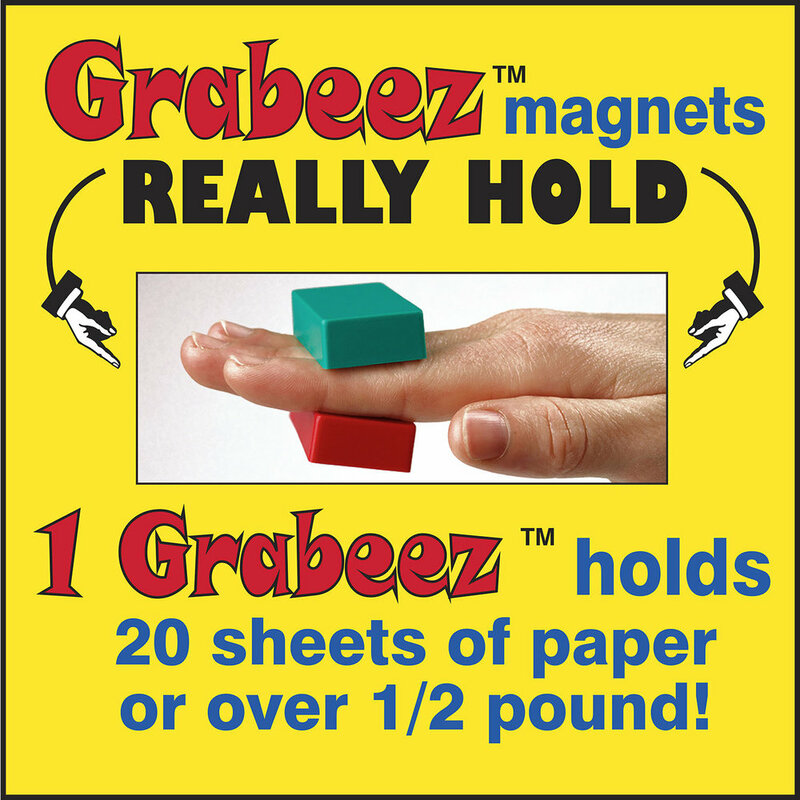 No more shaking, turning, tipping, fumbling, or reaching into a hole. Clips are right there ready on Clipwell.